Whether they are coming straight from the pool or about to work out, providing your customers with fresh, clean changing rooms will only enhance their experience of your venue. Forbo’s Step safety vinyl can be used wherever people go about their daily business as slip resistance is a key consideration in the creation of safe working, living and public environments. 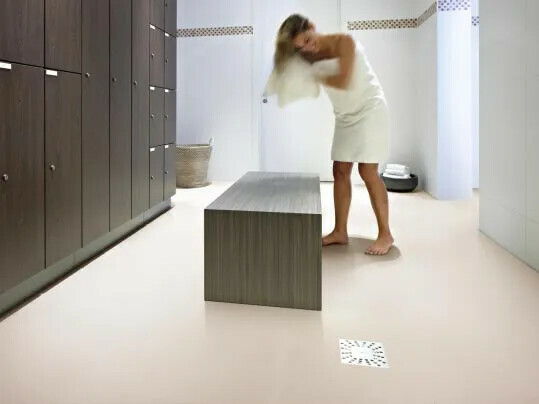 The new Forbo Step collection combines outstanding slip resistant properties with differentiated aesthetics and, through the use of new ‘Step Crystals’, each colourway offers a clean, fresh look and improved cleaning and maintenance properties. 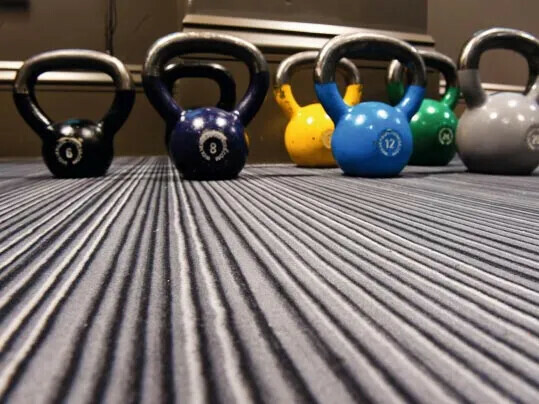 100% washable and hygienic thanks to its Sanitized anti‐microbial protection, Flotex offers the ideal textile solution to heavy use gyms and workout areas. Flotex Flocked Flooring is a completely unique textile flooring that combines the hard wearing and durable characteristics of a resilient floor with the quality, warmth and comfort of a carpet. Flotex is made up from a solid vinyl, reinforced base with a densely flocked surface of nylon 6.6. fibres, that are anchored firmly into the base layer. 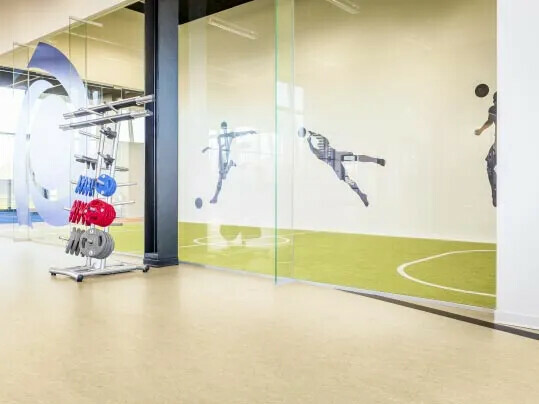 Flotex is extremely dimensionally stable and has the optics of a textile floor covering, whilst being as functional and durable as well as easy to clean as any resilient floorcovering.